It was a familiar experience for Fernando Alonso on Sunday when his McLaren Honda was seen with smoke coming out of the back, but fortunately for the Formula One driver, the IndyCar team was simply able to switch his engine as a precaution and move on without taking a penalty, unlike what he would have been used to. 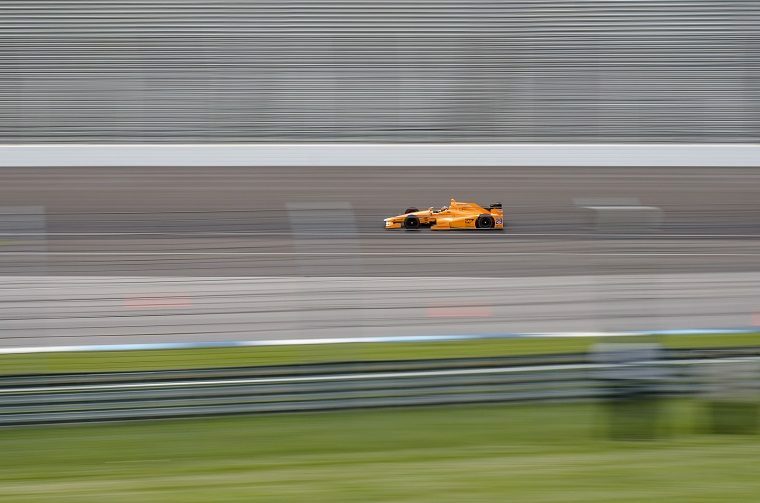 If any of the engines were to show signs of stress, you would have imagined it to be Alonso’s—not just for the irony of it but because he set the fastest no-tow average speed of 231.317 mph during the 45-minute practice session ahead of the Fast Nine shootout, which he had qualified for on Saturday. The Spaniard then put the new engine to good use, setting an average speed of 231.300 mph to qualify fifth in the final qualifying session of Pole Day. When the Indy 500 lights go out a week from now, he’ll be in the second row alongside Takuma Sato and JR Hildebrand, and behind Ed Carpenter, Alexander Rossi—last year’s winner—and Scott Dixon, who took the top spot with an average speed of 232.164 mph. Need to Know: What determines your credit score? It was an impressive performance from the two-time Formula One World Champion, who hadn’t driven an IndyCar until his rookie test earlier this month. Alonso is hunting the “Triple Crown of Motorsports” and says he could have done even better in his first-ever Indy 500 qualifying session. “We had an over-boost problem in the final corner, so the engine was like hitting the brakes and I lost a bit,” he explained. Qualifying on the second row will give Alonso a boost of confidence ahead of the race, though he and all the others are well aware that starting position is often meaningless once the race gets going. Rossi, for instance, won the race last year despite qualifying just 11th.